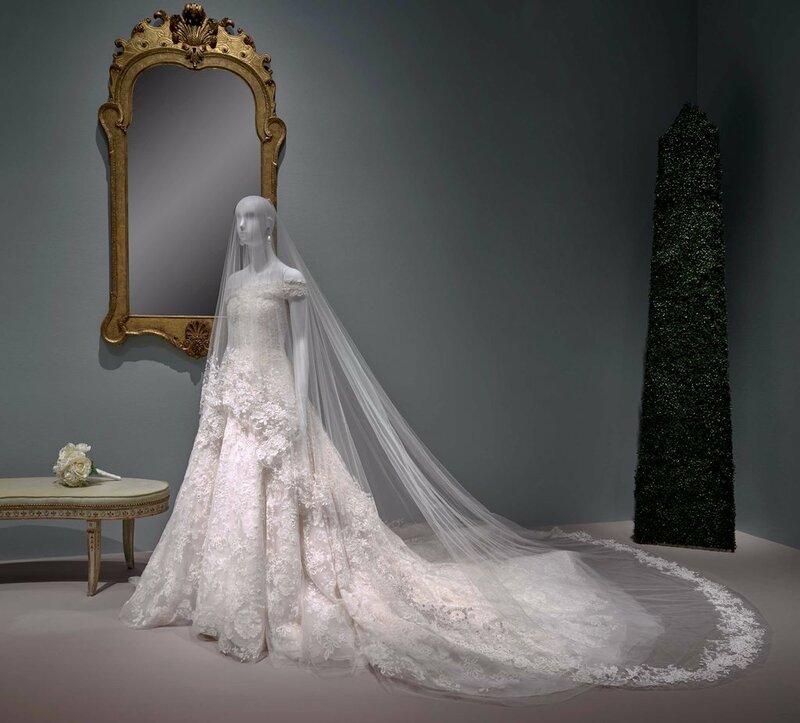 You might recall that Amal Clooney wore a stunning Oscar de la Renta lace gown when she married George in 2014. Now, three years later, the dress is on a mannequin in Texas. Yes, you read that right. The human rights lawyer and activist, who has become quite the style icon, donated her treasured design to the Museum of Fine Arts Houston, where The Glamour and Romance of Oscar de la Renta exhibit is opening to the public. Almost 70 pieces from the late designer's archives dating back to the '60s will join Amal's bridal ensemble, including a loan from Beyoncé. "We have the great Amal Clooney's wedding dress, which is the last wedding dress that Oscar designed before he died. It's on loan from Mrs. Clooney, but we have been very anxious to have that dress for so long. We wanted it [in San Francisco's 2016 de Young museum retrospective], but Mrs. Clooney reached me through her assistant to say that she felt it was too early to have her dress in an exhibit after she married [George Clooney]." 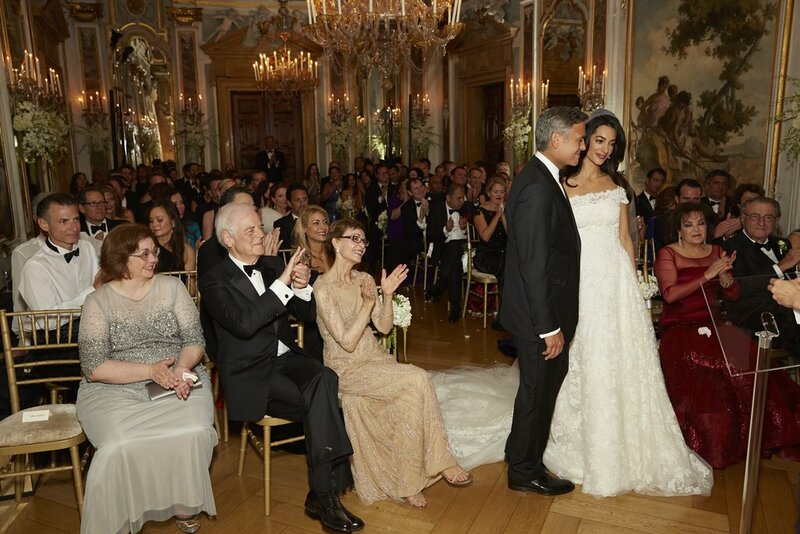 Read on to admire Amal in her wedding dress on her special day, then take a peek at a handful of other iconic looks Oscar de la Renta created.